Posted November 11th, 2011 by Karl & filed under MailBigFile, MailBigFile News. At the end of each week (more specifically, on Friday), we will be doing a weekly roundup on all the goings on within the MailBigFile office. This way, you, the customer, can keep up with all the developments we are getting up to and with the advances we plan to make. 1) MailBigFile App Hits the Android Market. 3) MailBigFile Gets Its Own Trademark. 4) MailBigFile Facebook Hits 3,000 Likes! MailBigFile Mobile App for Android! Our Systems Administrator, Martin, who also doubles as a java programmer, has been working hard to bring you a working mobile app for your Android phones. Currently it works alongside the free service, meaning you can use it to upload files up to 300MB from your phone. You can use it in the exact same way as the free service already available on the website. What’s more, you can also use the app contextually on your phone. Happen to be browsing your gallery and want to send a picture to someone? With the app installed, you can choose to share it using our app and it will automatically add the selected picture as the file to be sent. All you need to do from there is enter the recipient email address and press send, easy! What’s more, the recipient should even be able to use the link to download the file on their phone, should they also own a smartphone. Which means you can use the service to send files quickly from phone to phone. Martin is also in the process of enabling the Android app to work alongside the Pro Service. So keep an eye out! Slight improvements to the Business Accounts have been made. One of these sees the amount of files you can add to the Multiple File Uploader increased. This has now been set to 20 as default for all Business Accounts. You can now also request to have these increased further by contacting webmaster@mailbigfile.com. We’re also rolling out a new form of downloading for files you upload. Some of you have already been affected by the change and we will continue to roll it out should we deem the new method is successful. If however you’re finding there are issues with the new method, please contact me at support@mailbigfile.com. This new method will act in a similar way to the improvements we recently made to the Pro Service. 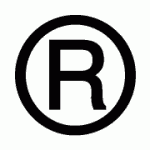 We’ve also secured the MailBigFile Trademark. This means that the term “MailBigFile” is officially a trademarked product of MailBigFile Ltd.
What this means for you is that you should no longer, or at least see less potential impostors of the service appearing in Google search results or in any other public domain. 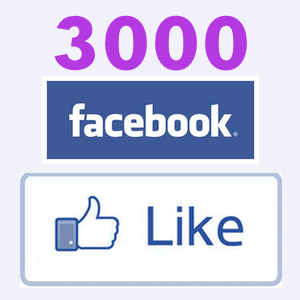 We also managed to hit 3,000 likes this week on Facebook, an impressive total I’m sure you’ll agree. Thanks to everyone for their continued support of MailBigFile! If you haven’t yet, you can like us by visiting our Facebook page linked here and above. 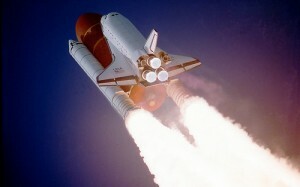 Like us to keep up-to-date on all the goings on at MailBigFile and to be with a chance to win MailBigFile Competitions! Martin would also like to point out that he brought in some Gingerbread syrup for us all to enjoy. We also had some Mini-Muffins and brownies brought in this week, I’ve been asked to tell you. The brownies were actually quite nice. The Gingerbread feels very much in line with the current times, being near to Christmas as we are. Something I have personally always associated with Christmas, although this is likely to be due to my time at Costa, which promotes such syrups like crazy around this time.